What Is Wireframe in Software Development? 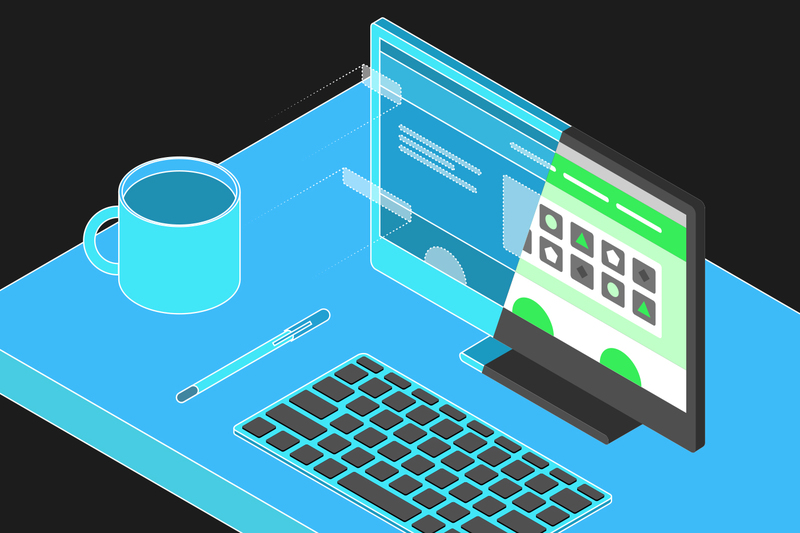 Blog > Design and Prototyping tools >A Beginner's Guide - What Is Wireframe in Software Development? A Beginner's Guide - What Is Wireframe in Software Development? Wireframing is the beginning of the software development process, how it works? Here is the beginner’s guide to what is wireframe in Software Development? A wireframe is a grid that the web designer places on a web page in the planning phase to define in which grid square different areas of a website are located. A wireframe divides areas with text and those with pictures. With the help of wireframes, the areas are defined on web pages, which should get the most attention of the viewer or reader. Important areas are therefore larger. 2. What is Wireframe in Software Development? In fact, wireframe was originally used as a term standing for a manikin made of wire, with help of which garments can be designed according to given shapes and sizes. It’s similar with today’s software and web design: A wireframe is the basic framework in software development and web design. In history designing wireframe doesn’t play important role in design elements. At early stage, the aim is to determine the structure of a planned software and to test its functionality. This step has particular significance in the design process. The term mockup is often used as a synonym of wireframe. Actually, however, this expression means an optically refined model, which already shows a version of desired design. Additionally, interactive wireframes can simulate dynamic interface. The logical structure, links and expected user behavior can be checked and optimized. This can serve both the internal design process within an agency as well as the coordination with the clients. Today, a wireframe is used as a term mainly in the design. As wireframe or mock-up are described in the development phase. Before the actual content is set, the structure of the website is defined with the help of wireframes. This includes certain content areas as well as navigation elements, logos, search functions, footnotes, menu bars and much more. 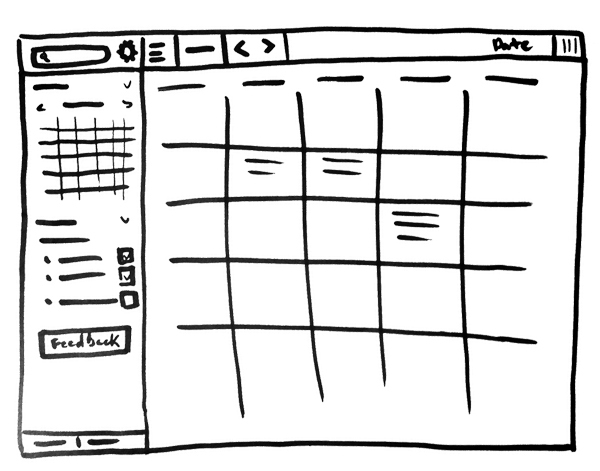 Technically, there are two different types of wireframes: static and dynamic. How are these different? A static wireframe is the first draft that fundamentally defines which elements should be included. This is a rudimentary conceptional scheme. Content and design are not important at this stage. This is different with the dynamic wireframe. Here, the design already consists of several pages that have already been brought into a hierarchical order. The link between the pages already works, so that functions such as search or navigation can already be tested and checked. A so-called navigation tree or a flowchart provide information about the organizational structure of the web pages. In the work process of an agency, the project scope is defined by the client after the briefing and if necessary a conclusive concept will be drawn up after a re-briefing. The wireframe is one of the core elements. The technical possibilities are manifold. A designer can put his design on paper, but also rely on help of various tools and drawing programs. There is no need to take aesthetic details into account presently. The planned elements are therefore represented by lines, rectangles and blind text. Mockplus : Mockplus is one of the most leading programs for creating wireframes. Either simple mockup or impressive prototype is possible. Interactive functions can be realized and simulated without programming skills. POP: Prototyping on Paper is an app for iPhone and Android, which can be used to scan wireframes and convert them into click-dummies. First we should know the importance of information architecture. How well the user perceives contents or understands the function of an element depends mostly on their arrangement. For example, it is usual to position the navigation button to the left or the top. Important contents are placed "above the fold", namely in the visible area of an app or website without scrolling. A deviation from these standards will irritate site visitors and possibly even make the use of the site more difficult. This balancing act between mature patterns and a unique & distinctive architecture can be performed with wireframe with relatively little effort. The design, which is reduced to the essentials, quickly reveals possible weaknesses in the sequence and structure of content. This framework will later form the basis for the individual face of a software. 7. Why is this additional work step worthwhile? With the help of a wireframe model in software development, a software/website can be constructed from the inside out. Only when the functional / logical structure is established, can design be applied practically. The latter can be easily adjusted in the further process - possible design deficiencies or adjustments in the basic structure have already been done by making wireframe. An additional challenge to design is the continuous development of mobile devices, each of devices has its own format and design can’t be transformed one-by-one. A working step, in which different scenarios can be quickly and easily simulated and tested, becomes more important. This makes this project stage become one of the most important steps in the design process. Hereto we have already answered the question “What is wireframe in software development?”. In conclusion, when someone asks you: “What is wireframe in software development?”, you can tell him/her, wireframe is one of the most essential steps in software development, properly using the above mentioned tools will make your work more with less.